Have you ever had a favorite food that you ate too much of, or had the same leftovers too many days in a row, and then you didn’t want to eat it again for months? That can happen with travel, too. We’ve been traveling as a family for seven years now. We’ve had amazing life changing experiences and met incredible people. But we’ve also had many instances of complete travel burnout. Times where we just felt done. Because even though travel is an incredibly rewarding experience, it is also a lot of hard work. Fortunately, there are ways to combat travel burnout. In this video, I share five tips I’ve learned over the years to help avoid burnout, and to help me move through it when it comes. Why did you decide to travel? If you feel burnout coming on, take time to reflect on the reasons you decided to travel in the first place. Too often, we ignore what our mind and our body are telling us. Listen to your heart and be willing to book a new flight, stay a little longer, or change your itinerary. Embrace slow travel and move at a pace that allows you to truly enjoy each day at your destination. If each day is jam-packed with tourist sites, you’ll likely find yourself burned out more quickly while traveling. Regardless of your destination, take the time each day to rejuvenate, relax, and refresh. Travel burnout can come from focusing too much on the negative aspects of travel. If that’s the case, take the time to remember all the wonderful things that you’ve experienced. I’d love to hear your thoughts in the comments below. Have you ever experienced travel burnout? How did you overcome it? I invite you to share your story. Hi. 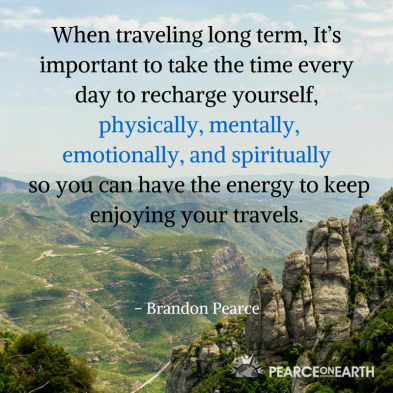 Brandon Pearce here and I want to talk to you today about travel burnout. We’ve been travelling as a family for seven years now. We’ve had amazing life changing experiences and met incredible people. But we’ve also had many instances of complete travel burnout. Times where we just felt done. Why is that? If you’ve never traveled before, you may think, “How can you possibly get burned out on travel? Isn’t it supposed to be relaxing and fun?” It is fun, but traveling is actually a whole lot of work. First, you have to pick where you are going to go. Then, find where you are going to stay and look up the area – where everything is and how to get there. You’ll need to understand how the transportation system and the currency works, as well as the culture, language, and where you can find food. Then you’ll need to consider where to go next so that you can do it all over again. It can be really, really fun and exciting, and you’ll learn a lot. It can really be a life-changing experience. But if you are doing it over and over again every week or two, it can also be completely exhausting. So today I want to share with you a few tips that I’ve used to help avoid travel burnout. Think back to before you started traveling. What were the main reasons that got you to take the leap? If you are like me, maybe it was because you felt tired of living in the rat race doing the same things everyday, feeling stagnant in your personal growth. 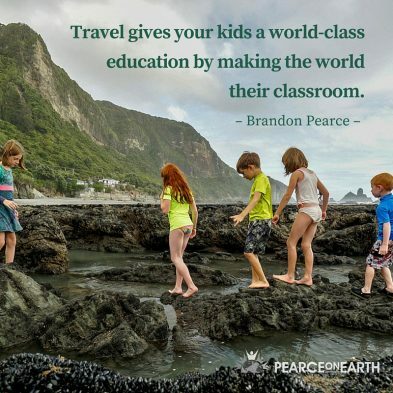 Or maybe you wanted to give your kids a world-class education by making the world their classroom. Maybe you wanted to experience new cultures and languages, and experience this amazing Earth first hand. Maybe you wanted better weather. Or maybe you don’t even know why you started traveling. You just felt called to it. Whatever your reasons, when you feel an onset of travel burnout, take some time to reflect on why you started traveling. 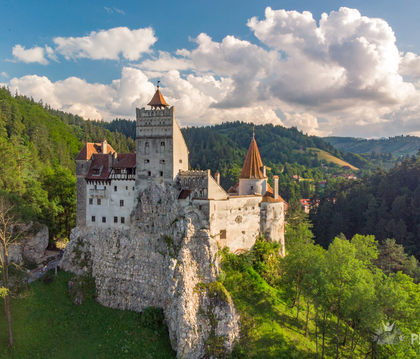 Consider how well your travel has been meeting those goals that you originally set out for. Then, you can make some changes and adjustments to help better meet those goals moving forward. 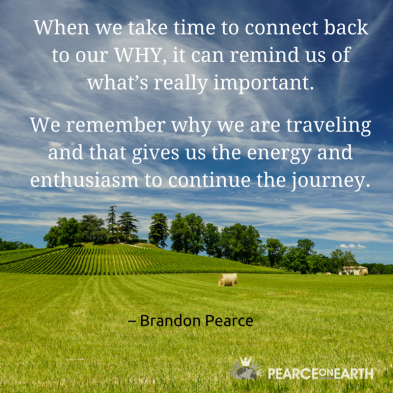 When we take time to connect back to our why it can remind us of what’s important. We remember why we are doing this and that helps give us more energy and enthusiasm to continue the journey. I think one of the main causes of burnout happens when we stop listening to ourselves and our own needs and we start paying attention to what others expect of us. 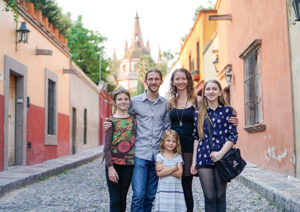 When traveling as a family, it’s important to take into consideration everyone’s needs and goals and make compromises. But don’t compromise your own needs to unhealthy levels. Have the courage to listen to yourself and pay attention to your own needs. Maybe you’ll find that your previous expectations of yourself were too high. Or that maybe what you thought you wanted wasn’t really what you wanted. And if so, congratulations because you learned something new about yourself and now you can make a change to better fulfill your actual needs. Your reasons for traveling may change over time. As we experience new challenges and put ourselves into new circumstances, we are bound to grow and change in different ways when we are out of our comfort zone. Sometimes our goals and our desires change along with that. 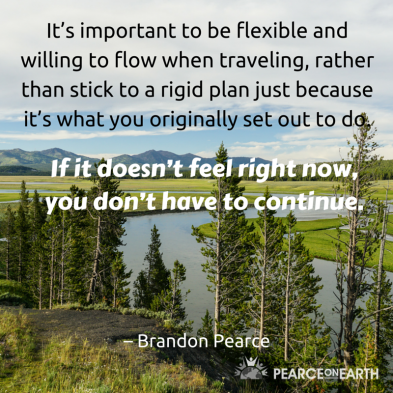 It’s important to be flexible and willing to flow when traveling, rather than stick to a rigid plan just because it’s what you originally set out to do. If it doesn’t feel right now, you don’t have to continue. That may mean changing your itinerary. Maybe you feel like you really need a warm, tropical place right now. Or a relaxing beach. Or a rural farm. Maybe you’re tired of all the bugs and humidity and you need a cozy apartment in a big city. Whatever it is, pay attention to what you are feeling drawn to and make a change. Cancel a flight, extend a stay, do what you need to do to take care of yourself. 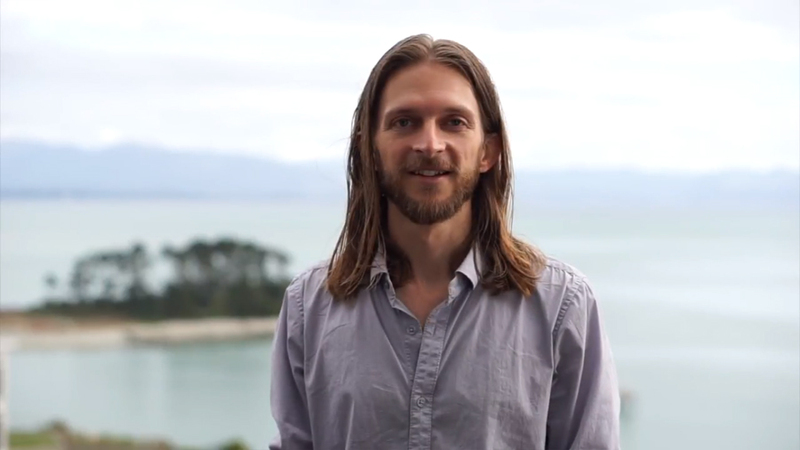 I’m standing right now on the balcony of a house we rented for three months in Nelson, New Zealand. Three months is the longest we are allowed to stay in New Zealand on a tourist visa and this pace feels really good for us right now. It gives us a chance to ease into the community and into the culture. We are able to take our time to see the sites without feeling so rushed. When we are in places for only a week or two, we tend to get in the mindset of go! go! go! – like we have to see everything. Although that can be really fun for a little while, it’s not sustainable. Last year we took a road trip for two and a half months through Spain and France. We were hopping around to a new place every few days. While we saw amazing things and met incredible people, it was so exhausting. By the end of it, we were so beaten and worn out, we didn’t want to go anywhere for months! It’s important to find a pace that works for you. Pay attention to how you are feeling. If it feels like it’s time to slow down, then slow down. Take a break. Do something that feeds your soul. When traveling, there is the ever-present fear of missing out. 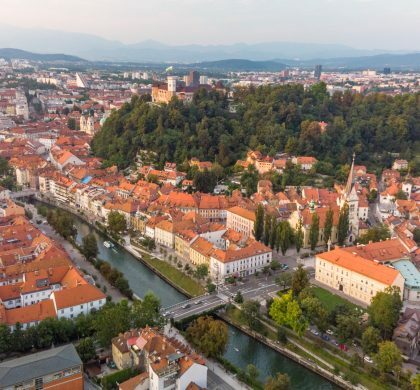 There’s so much to see in this world – so much to see even in a single city – that it would be impossible to see it all in a week, a month, or even a lifetime. So give yourself a break if you can’t see it all this trip. You can always come back later and check out the other spots that you missed. During our three months here, we have taken several trips around the country and taken days to go out and see sites near the town. Yet most of the time, we are just spending at home:, creating, working on projects, spending time as a family, reading, learning, playing, having fun, or meeting with friends. We are living. For me, creativity is really important. I thrive on being able to work on things that I am passionate about. And if I’m out every day seeing things, it’s a real drain on my system. The first couple weeks we were here, we went to a festival and met a local harp teacher who we ended up taking lessons from. Now three months later we can all play a version of Pachelbel Canon and a few other pieces! We also enrolled my ten year old daughter in a gymnastics class because that’s something she showed an interest in. Those are types of activities that are hard to do, or would be almost impossible to do, if we weren’t staying as long as we are. Your family may be completely different. Maybe you’ve been staying in the same place for so long that you can handle going to a new place every week for an entire year. And if so, go for it! But if you start feeling like you need to take a break, then take a break and take time to recharge. I find it necessary, for me, regardless of the pace of travel or where I’m at, to create habits and schedule into my life periods of reflection and relaxation for my mind and for my body. To recharge and to learn from my experiences. I try to make sure that I get sufficient sleep every night. I take time to journal and write about my experiences. I meditate and exercise. I do the things that really fill me up, recharge my soul, and give me energy for the day. I do these things no matter where I’m at in the world, but they are especially important in times that are more stressful or when I’m in a chaotic environment. Like anything, it’s possible to use travel as a distraction from the uncomfortable emotions that might be going on inside. When I take time everyday to pause and to reflect on these things, it helps me become more aware of the causes of my emotional distress and to address them. It helps make sure that I am not just putting a bandaid over a problem and distracting myself with a lot of stuff outside. Writing about my experiences—personally in a journal but also sharing them on my blog and in videos like this—has also been a helpful way for me to gain clarity on my life and what I’m learning through my travel experiences. This action helps make travel feel more worthwhile and also helps reduce the burnout. It is common to view travel as a vacation. It’s supposed to be relaxing and fun, and often we judge ourselves if we feel like we have to take a break. But when you are doing it as a lifestyle, it’s important to make sure to take that time. Have you ever had the experience of taking a vacation and then coming home feeling like you need a vacation from your vacation? When traveling long term, It’s important to take the time every day to recharge yourself physically, mentally, emotionally, and spiritually so you can have the energy to keep enjoying your travels. Sometimes travel burnout can come from focusing too much on the negative aspects of travel. And that’s easy to do if you are in a chaotic, noisy, smelly environment or when you feel unsafe and tired. But there are always positive things to focus on. I like to remember how fortunate I am to even be alive. I try to remind myself how amazing my life is. 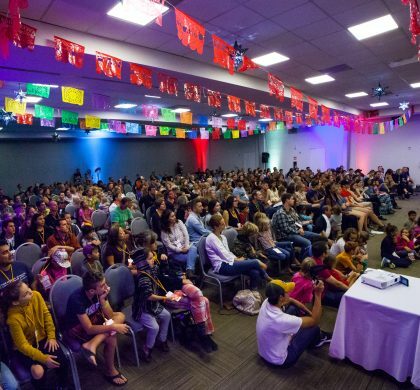 Remember, if you are traveling long-term with your family, you are doing something incredible that most people in the world only ever dream of doing. And chances are you’re inspiring them just by your actions. You’re helping others to think more about what they want in life and tuning in to what’s holding them back. You’re creating memories with your kids that will build a foundation for them that will last a lifetime. 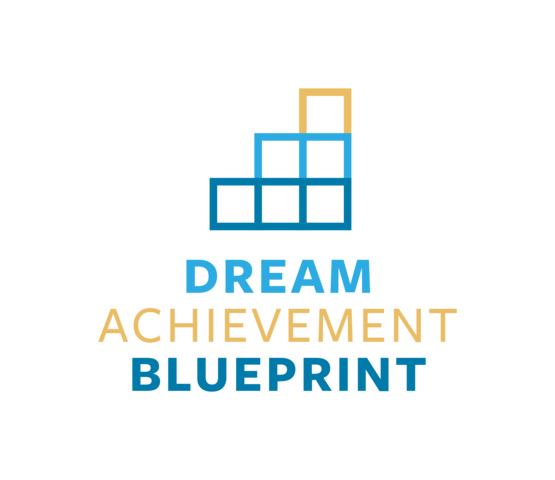 You’re helping them have confidence to know how to navigate the world and understand better how it works. 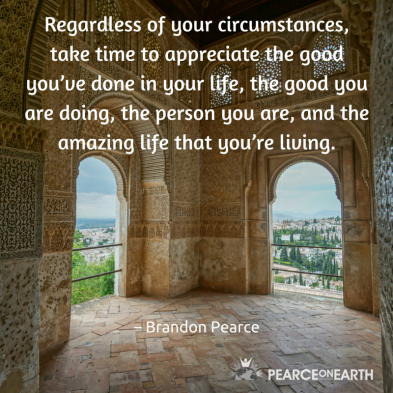 Regardless of your circumstances, take time to appreciate the good you’ve done in your life, the good you are doing, the person you are, and the amazing life that you’re living. I say these things because this is what I need to tell myself when I am having a hard time. I remind myself that I love myself, I love my life, and I am grateful to be doing what I’m doing. I struggle with feelings of insecurity. I wonder if I’m doing the best thing I can be doing with my life. If I’m doing the most good that I can. If I’m living up to my potential. I judge myself against an ideal of perfection that I am still trying to figure out. And I get discouraged when I don’t match up. But I am getting better at recognizing when those thoughts are unhelpful and replacing them with ones that are more empowering. I take time to remember the good I’m doing in the world. The people I’m serving through my business, the charities that I’m donating to, the people I’m inspiring through my blog and through these videos to tune into what’s important to them and live the life of their dreams. And I’m giving my family the experience of a lifetime. I’m showing my kids how to appreciate the gift of life. When I focus my thoughts there I feel excited and grateful. And the feelings of travel burnout take a back seat. I think if we can focus on what’s already going well in our lives and the ways we are already making a difference, it can make it much easier to move through the hard moments and to avoid travel burnout. 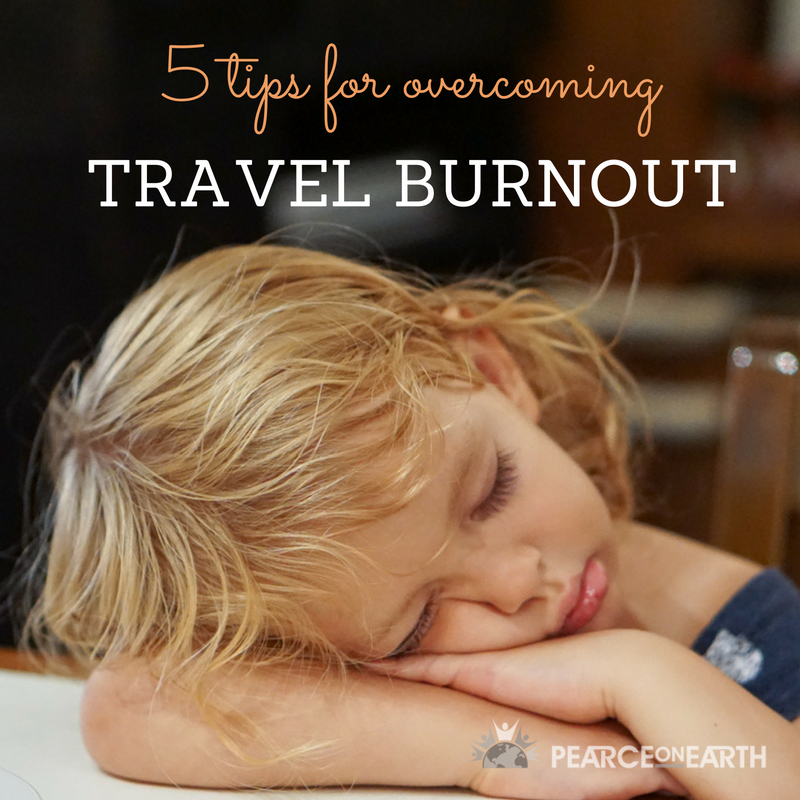 Those are my five tips for overcoming travel burnout. I hope you found them helpful. I’d love to hear your thoughts in the comments. If you’ve experienced travel burnout, please share your story below and what you’ve done to overcome it. If you’d like to hear more videos like this, please subscribe to my YouTube channel or visit my website, PearceonEarth.com and subscribe to my newsletter to get regular updates. Thanks for listening. Remember to live well and enjoy life now! Yes, nice tips. Flexibility us key. It is hard travelling with a family. We found that sometimes dedicating time to have one on one experiences with different family members really helped build stronger group bonds. I love that suggestion. Our kids really enjoy it when we take them on dates, wherever we happen to be (or even at home). Terrific advice. I have found, even on short “vacation” type trips, that I need to include downtime, grounding time, rather than go-go-go to see all the sites. Sometimes just “being” in a place offers as much as “seeing” all there is to see. So true. Each place has its own “feel”, and has a bigger effect on me than I usually realize.